Hi guys! Today I'm showing you again what was on my Monday menu! Besides drinking more water I promised not to change anything else in my diet to guarantee the most honest results, so I've been following the same eating pattern as I did before. Briefly this means three meals a day and one snack (around 1300 - 1500 calories a day), two cheat meals a week and one day a week alcohol is allowed. 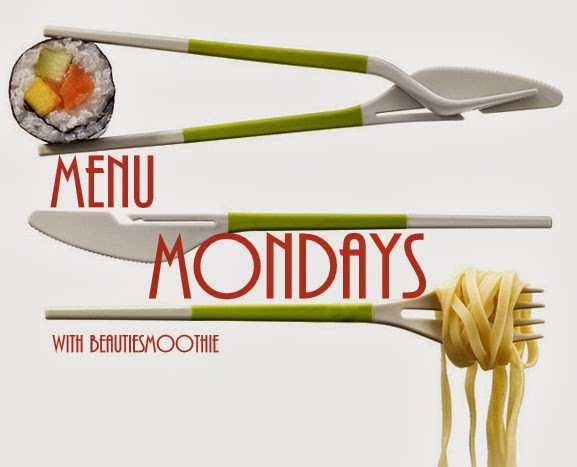 Let's take a look at what I ate this Monday! Omelette of two eggs with smoked salmon and a salad with cherry tomatoes on the side. A bowl of vegetable soup (minestrone inspired except no meat or beans) with some whole wheat bread and peanut butter. A couscous salad with cucumber, cherry tomatoes, dried tomatoes, spring onions, red peppers, olive oil, mustard vinegar and feta cheese. One banana with peanut butter, some oats and some mixed nuts. I think I did pretty well this Monday. The Holiday season, and of course Holiday dresses, definitely motivate me this time of year. I like to make an extra effort in the gym and kitchen so I can indulge a bit more during the Holidays without feeling guilty! Have you started off your week healthy?